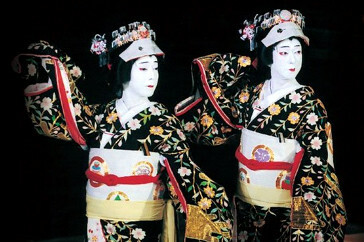 This year's series highlights some amazing female roles in kabuki and kabuki dance. We are also highlighting some "elite" onnagata (female role) actors: Nakamura Jakuemon IV (1920-2012) and Bandô Tamasaburô. We begin in October with Sumidagawa - a tale of a mother looking for her lost son; move on in January to Akoya, considered one of the most challenging female roles in kabuki; and end in March (just in time for the beginning of cherry blossom season!) with a two-dancer version of the greatest onnagata dance play in the kabuki repertoire Musume Dôjôji. 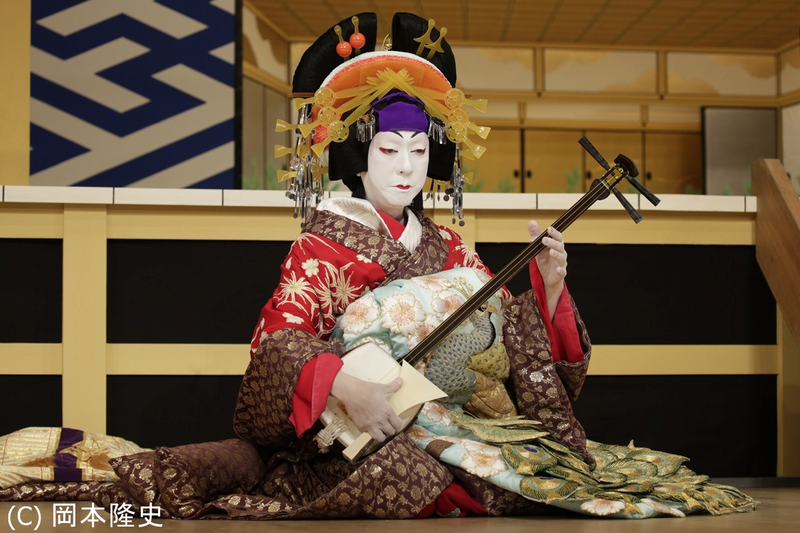 We will be screening full videos of live performances from Shôchiku's Kabuki Meisakusen Series, which feature some of the greatest kabuki performers of the 20th and 21st centuries. The recordings have English language commentary, and we will also discuss important story and performance elements. We will have green tea too! All salons will be held at UBC's I.K Barber Learning Centre, 1961 East Mall - in room 256 (The Chilcotin Room). The nearest parking to the Centre are the Rose Garden and North Parkades. Parking at UBC is $7 after 5pm. UBC Parking map. Presented by TomoeArts & UBC Library. This dance play premiered in 1919. It was adapted from the noh of the same name and features Kiyomoto style music. The story focuses on a woman from Kyôto who is searching for her son, the loss of whom has driven her to madness. Her search brings her to the banks of Edo' s Sumida River where she meets a boatman who takes her across the river to discover her son's fate. This video version features Nakamura Jakuemon IV. The bunraku play Dan no Ura Kabuto Gunki premiered in 1732 and a year later was restaged as a kabuki play. Akoya is the only scene still performed today. Originally known as the "Koto Torture Scene" it depicts Shigetada questioning the courtesan Akoya on the whereabouts of her lover, the defeated Heike warrior Kagekiyo. To extract this information, Shigetada forces her to answer questions while she plays the koto, shamisen and kokyû (lap fiddle). The actor must truly play all three musical instruments, requiring years of special training to be able to perform the role of Akoya. Image: Bandô Tamasaburô in Akoya at the Kabuki-za, Tokyo October, 2015. (photo: Shochiku Cinema Kabuki Website. A spectacular two-dancer version of the famous dance play Musume Dôjôji. The double spirit of Kiyohime comes to the Dôjô Temple as shirabyôshi dancers Hanako and Sakurako. They reveal their jealous serpent selves and destroy the bell that once hid the lover that ran from them. Header Image: BandôTamasaburô V and Onoe Kikunosuke V in Ninin Dôjôji from Shochiku Cinema Kabuki Website.